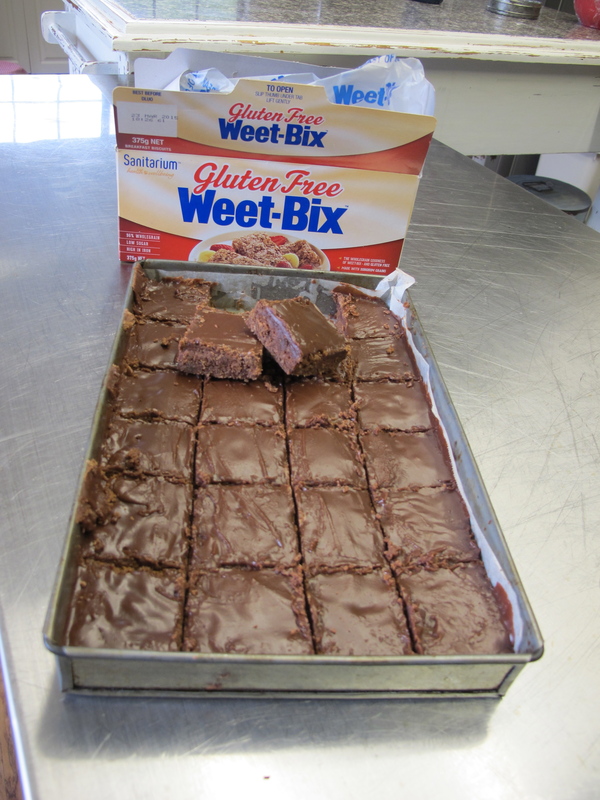 Check out Sally’s gluten free spin on a classic chocolate crunch. MIx together the dry ingredients and then stir in the butter until well combined. Spoon into a greased and baking paper lined 28 x 18cm slab tin. Bake at 160 degrees for 30 minutes. Remove from oven and ice immediately with chocolate icing (see recipe below) and make into squares with a sharp knife. You need to cut through quite firmly so that it breaks apart easily once cooled. Allow to cool in the tin and then re-cut into squares. Store in an airtight container. Sift the icing sugar and cocoa, then add the butter and the boiling water. It’s important to add only a very little boiling water at a time. When it starts to get close to the right consistency, add only one or two drops at a time).